A few years ago SMS was very popular. 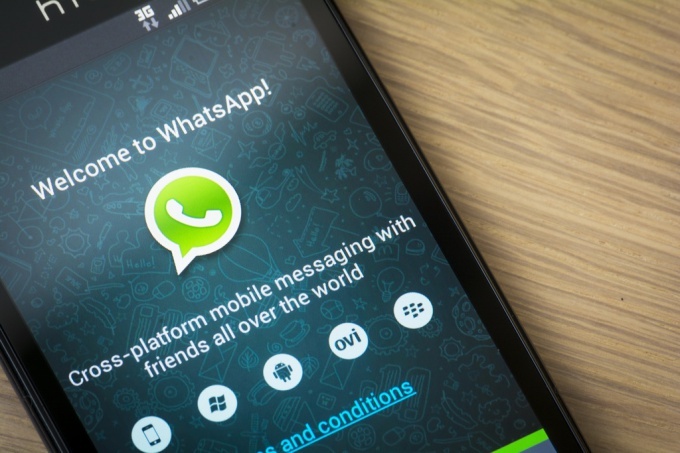 Who would have thought that very soon this service will replace the WhatsApp Messenger, which you can use for free to send text messages, photos, audio and video files. WhatsApp Messenger is a smartphone messenger available for smartphones. You can install it on the following smartphones: iPhone, Android, Windows Phone, Nokia and BlackBerry. To use the app requires that the smartphone was connected to the Internet. The price: first year free, then – $0.99 per year. How to install WhatsApp? Using the phone itself in the app store. For example, iPhone is the App Store. You need to go to App Store, choose the tab "Top charts", section "Free". WhatsApp is in the top three most popular downloaded apps. Or you can use the search – choose the tab "Search" and type WhatsApp in the search box. Also you can install the application through the official website of WhatsApp. On the home page are six links to download the messenger for different models of smartphones. Set your preferences: profile - status, name and your photo, account, chat settings, and notifications. In addition to texts, images, videos and voice messages you can send your location. You can also create group chats. Convenient functions – you can see when the subscriber was online last time (unless he changed the visibility in privacy settings); the sent message is marked in the chat two grey ticks read - two blue.